Julián Castro, the former mayor of San Antonio and a major fixture in Texas Democratic politics, said this week he has "every interest" in running for president in 2020. In an interview this week, former San Antonio Mayor Julián Castro gave the strongest indication yet that he's interested in running for president in 2020. Castro, a Democrat who led the U.S. Department of Housing and Urban Development under President Barack Obama, told NBC News that he has "every interest in running." His speech next week at an awards dinner in New Hampshire will help him take the temperature of voters in the early primary state. "Part of the process of figuring out whether I'm going to run is going to listen to folks and feel the temperature" of voters, he said. Castro told the San Antonio Express-News last week that he'd make a decision on whether to run by "the end of 2018." Castro was on a short list to serve as Hillary Clinton's running mate in 2016, and speculation about the political aspirations of both him and his brother, U.S. Rep. Joaquin Castro, D-San Antonio, have been constant since 2012, when Julián Castro gained national political attention for his speech at the Democratic National Convention. Castro also campaigned for Clinton in her most recent presidential run. Her loss had important reverberations for both brothers' political futures. Joaquin Castro, also a rising star in the Democratic party, weighed challenging U.S. Sen. Ted Cruz and was rumored to be considering a run for Texas governor. He ultimately committed to seeking re-election to the U.S. House of Representatives in 2018. 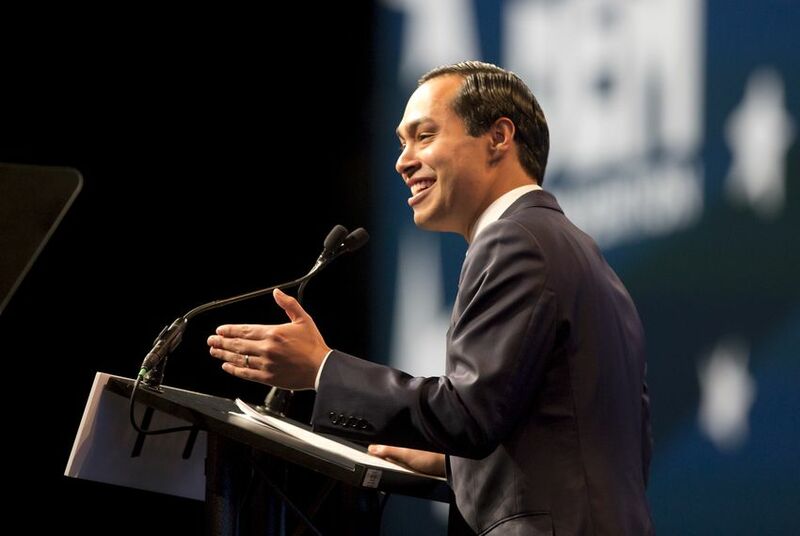 Julián Castro was first elected to the San Antonio City Council at age 26. He now serves as a lecturer at the University of Texas at Austin's Lyndon B. Johnson School of Public Affairs.